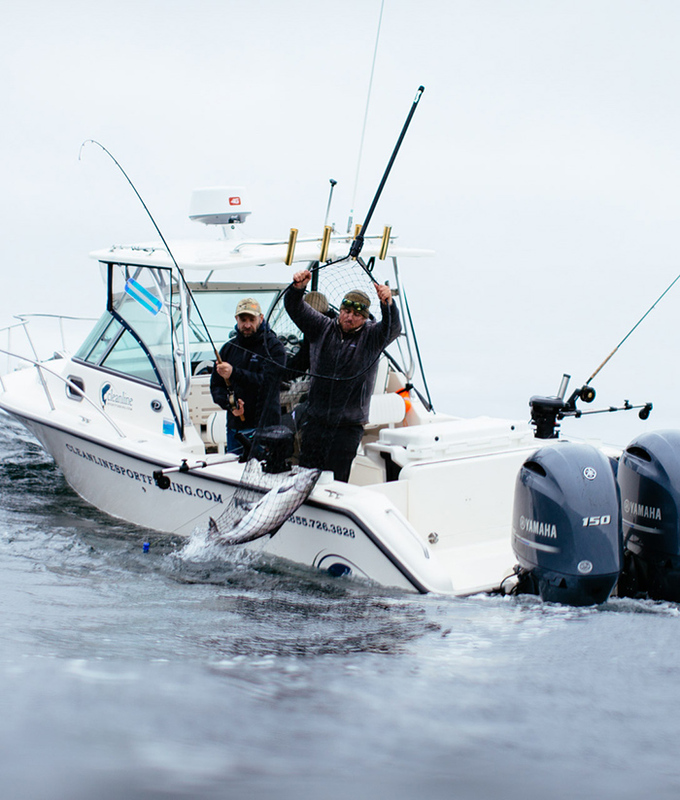 Target a variety of pacific salmon, giant halibut and voracious bottom-dwelling lingcod using Cleanline's advanced sportfishing techniques. The Offshore Experience offers awesome wildlife viewing opportunities and fantastic fishing adventures for first timers and experienced anglers alike. Great for corporate groups, families seeking adventure, or for those who wish to participate in a true west coast experience! Take off on a private float plane adventure where you’ll be left in your private valley for the entire day. Starting from the shores of a crystal clear mountain lake, you will leisurely drift through pristine rainforest. 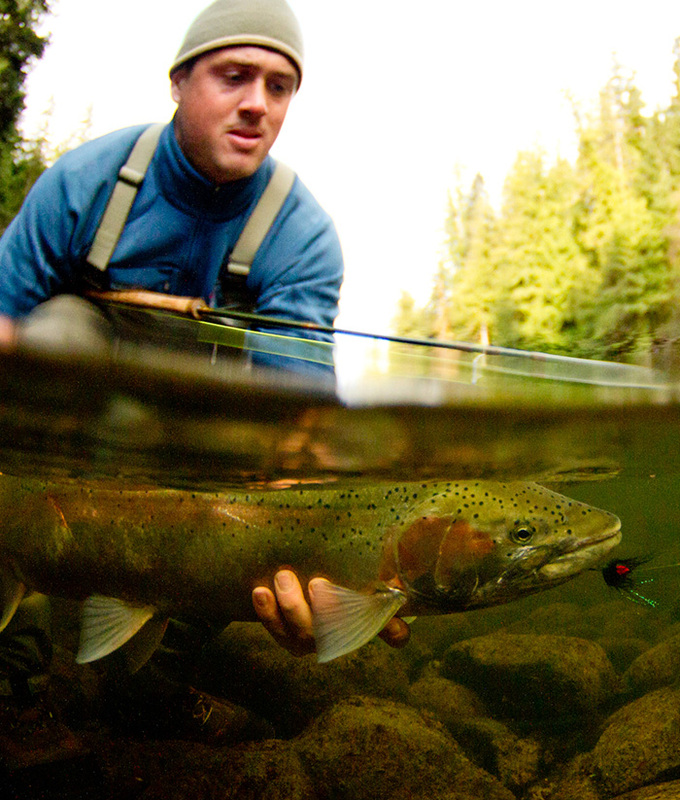 Cast a fly for wild salmon, cutthroat, rainbow or steelhead trout in the crystal clear waters of the river. This tour is a trip of a lifetime! 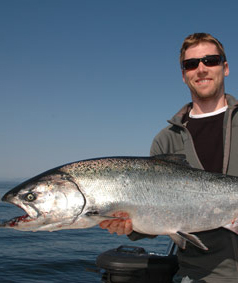 In the pursuit of the mighty Pacific Coho or Chinook Salmon, fly-fishing enthusiasts will go for either 5 to 10 hour excursions. This trip will offer the thrill of playing fish with light tackle for those with experience or for those who would like to experience it for the first time. A one-on-one fly fishing lesson will be your option, or you may want to sit back and wait for the zing of the line! 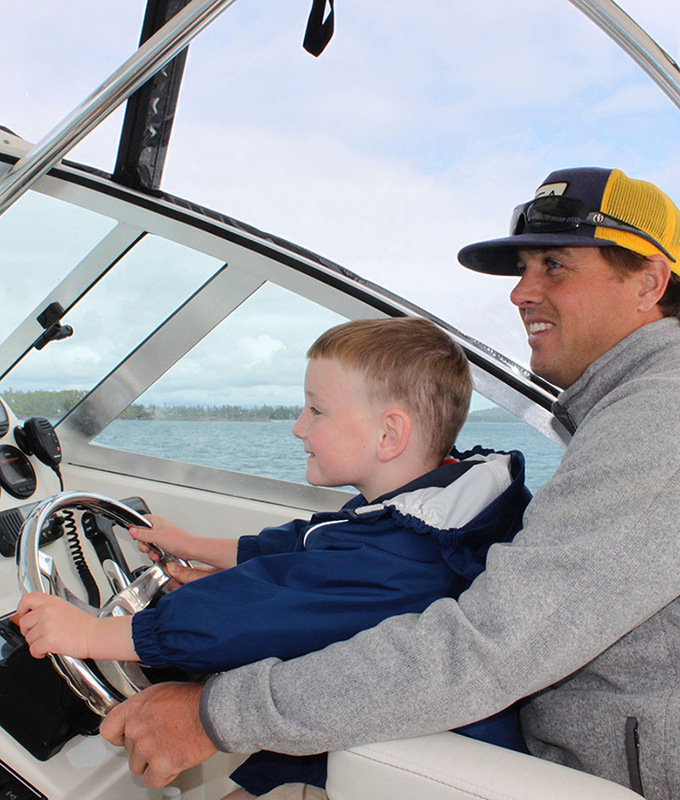 Great for families or for those who are new to the ocean and fishing. Drop the crab traps, learn how to fish for salmon, jig for bottom fish, or just take in the local scenery and experience some nearby wildlife—there's a good chance to see a whale, sea otter, seals, sea lions, eagles, or bears! Distances traveled are short, close by to Tofino and the flexibility of the private charter allows for varied entertainment for all ages.